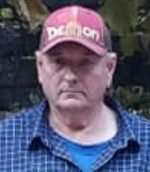 Ronald Joseph Laplander passed away on Oct. 30, 2018. He was born Dec. 4, 1946, in Mass, Michigan. He was 71. Ronnie came to California in 1949 at 3 years old with his parents and four siblings. Ronnie was a mill worker for 46 years. After retirement he enjoyed getting wood with his brother David, working on his trucks, watching NASCAR, Bonanza, Gunsmoke and Hallmark Channel, but his passion was his Corvette. He enjoyed feeding his feral cats and watching them play and gambol was his favorite past time. He was preceded in death by his father and mother, Howard and Rose Laplander, of Quincy; brother, Butch Laplander, of Quincy; brother, Rick Laplander, of Duram; sister, Sharon VanOrnum, of Quincy; brother-in-law, Connie Mason, of Quincy. Ronnie is survived by his sister, Dorothy Mason, of Quincy; brother, David Laplander, of Quincy; brother, Mike (Marsha) Laplander, of Del Norte, Colorado; sister Esther (George) Potter, of Greenville; sister, Debra (Greg) Green, of Fernley, Nevada; sister, Gerri Laplander, of Quincy; and his dog, Pugsy; brother-in-law, Doug VanOrnum, of Ely, Nevada; along with 10 nieces and nephews, great-nieces and great-nephews, as well as a large extended family. He will be missed by all of us that knew and loved him. Rest in peace dear brother.